Today’s generation has no time to play. They are burden under the bulky textbooks from the beginning of their school life, leaving parents more concerned about their holistic growth and development. It is often said that ‘Children learn as they play’ – the Chennai based e-commerce education start-up Flintobox has turned this into reality by selling toys conceptualised by educators, prototyped by designers, and manufactured by top-of-the-line printers, all shipped in a box to little customers every month. Isn’t it an interesting concept of learning? Especially, if it is a box full of toys that can set your imagination soaring. “90 per cent of brain development happens by the age of six. Early experiences and positive interactions during age of 3-7 determine the overall development of children for years to come. However, in these busy days with nuclear families, parents don’t have the time to ensure that their children are engaged effectively. And this constraint makes children resort to the easy way of watching TV,” says Arunprasad Durairaj, Co- Founder and CEO of the company. 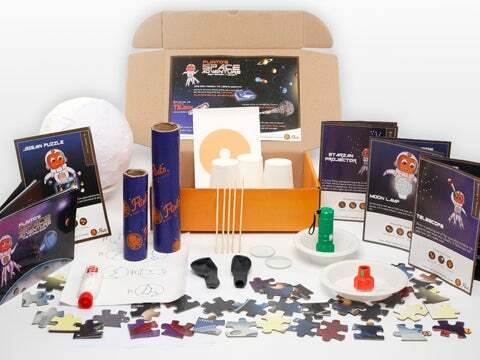 “Flintobox solves this problem for parents by providing a perfect fun discovery box that inspires children to explore and feed their curiosity for new things every month. Parents will receive, right at their door, a carefully crafted and designed set of activities based on fresh themes every month,” Durairaj adds further. It is not only the kids who love the idea – their parents are also fascinated by this creation of the coolest start-ups in India. There are a lot of benefits that come attached with Flintobox, which altogether change the way of education and teaching. Each box contains 4-5 different activities that cover 12 development areas – including fine motor, cognitive and gross motor, creativity, exploration, language, and social skills through fun activities. Flintobox recently received the best start-up award in the education sector by the Confederation of Indian Industry (CII). It has also won Wharton India Economic Forum start-up competition. How the idea of Flintobox was born? 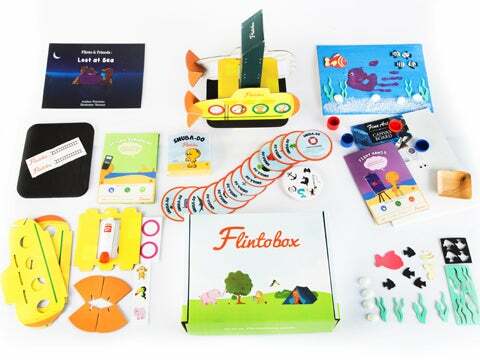 The story of Flintobox is that of a young parent striving to find the best way to nurture his kid's creativity and curiosity, while keeping up with his own busy life. Vijay (co-founder) raised this concern that his 5-year old son Aadhav was spending a disproportionate amount of time on TV and mobile phones. As with any busy parent, Vijay was pressed for the time to ensure his child was engaged in meaningful and purposeful activities. This is when we thought it would be a great service/product if someone could curate new activities and ideas which would engage kids positively, at home, away from TV, and without parent's constant supervision. We quickly brought in people with expertise in child development, game design and education to build the first prototype, which was then tested with 60+ parents and their children. We found that the parents and the children loved the freshness of the idea and the quality of the product. This encouraged the team to take a plunge to build Flintobox as a company. What’s the USP of Flintobox? How do you see the growth scenario in coming years? 1. Value for Money: Children get 4-5 different activities/projects for Rs 895 per month under a 6 month subscription. The retail value of such a combination could be upward of Rs 1,500 as there are a lot of intermediaries involved. 2. Engagement: Rest of the companies do it for a wide range of 0-14; while Flintobox is building games and activities exclusively for 3-7 years aiming to be the pioneer in early child development. 3. E-commerce: For the largest toy companies in India, only 5-8 per cent of their sales happen online. We are a 100 per cent e-commerce company benefitting the new-age parents and children. 4. Convenience: We provide a lot of convenience for parents, since they can leave the job of curating the best for their kids with us. There are hardly any company in India designing products for the developmental needs. We see a huge opportunity to become a pioneer in the area of Early Child Development in India. What has been your experience about parents and schools so far in terms of adapting this tool for imparting education to children? Steering kids away from TV and mobile: One consistent feedback from parents is that the kids discover new hobbies and interests and they have moved away from TV and mobile upto 50 per cent of the time in most cases. An independent survey done by ParentEdge magazine also revealed the same. Bonding with Parents: For a lot of busy parents, it’s becoming increasingly challenging to bond with kids in interesting ways and think about creative things to do. Flintobox becomes a creative tool for them to sit down, even for 15-20 minutes for quality time, to bond with their kids. A lot of parents have echoed this sentiment. Kindly highlight on your business and revenue model. 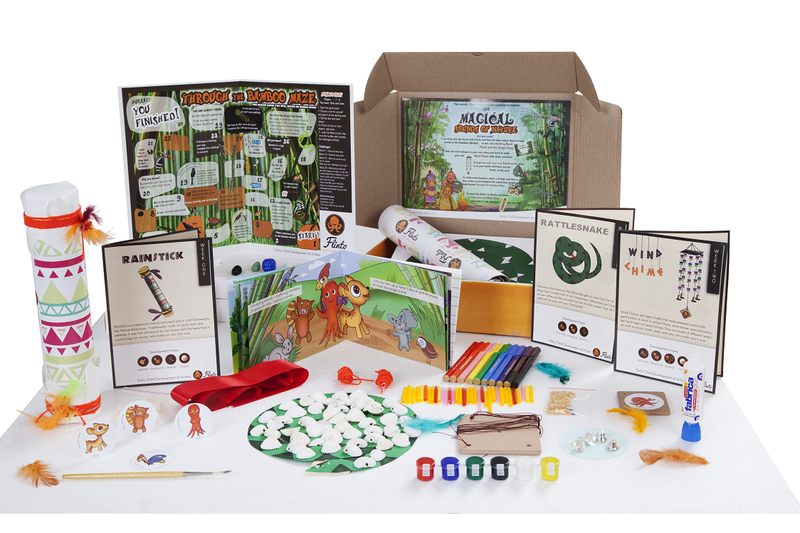 Flintobox is a monthly discovery box for kids aged 3-7 years designed for their developmental needs and delivered to their doorstep every month. It follows the subscription commerce model. Every month is a new theme and every month is a fresh set of activities, projects, stories and games. During October 2013 – September 2014, we did about Rs 30 lakh in revenue. The focus during this period was mainly in product development and testing. Zero marketing was done during this period. We used to be 6 people in the team. From October 2014 till date, we have made about Rs 55 lakh in subscription sales growing at 55 per cent month-on-month. Maintaining this rate, we will close this operating year at Rs 6 crore subscription sales. We are a 15 people team now. How many boxes you produce and sell in a month? On an average, we produce at about 5,000 boxes. We are hardly left with any leftover boxes. In fact, for the last 4 months in a row, we were consistently sold out before 25th of the month. We see a huge opportunity to become a pioneer in the area of early child development in India. We are looking at introducing products for adjacent age groups, international expansion in the next 12 months, and even dipping our toes into schools. We will be looking for more investments in the near future for expansion.